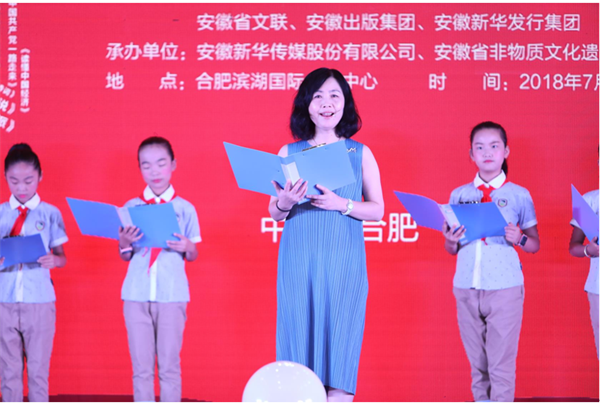 The 2018 China Huangshan Book Fair was successfully held in Hefei from July 27 to 30.This year’s event was sponsored by the Publicity Department of the CPC Anhui Provincial Committee, the municipal government of Hefei, Administration of Press, Publication, Radio, Film and Television of Anhui Province, the Department of Culture,the Education Department, Anhui Federation of Literary and Art Circles, Anhui Publishing Group and Anhui Xinhua Distribution Group and co-organized by Anhui Xinhua Media Co.,LTD,Anhui Intangible Cultural Heritage Research Association and Huishang Bank. 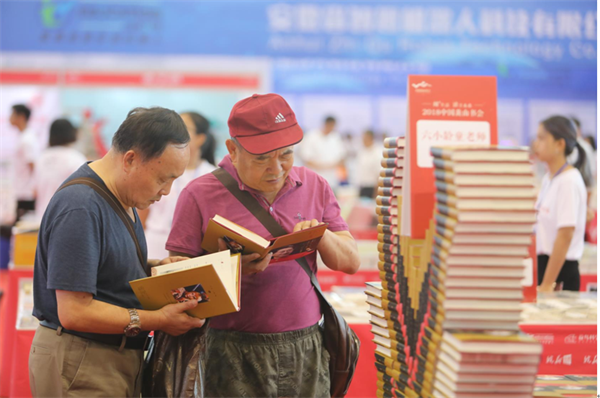 China Huangshan Book Fair has been held for 13 sessions as an important brand activity to promote national book-reading in Anhui Province, which has made an important contribution to building Courteous and Scholarly Anhui. At the fair,celebrity studies were set up to form celebrity space ,which integrates the functions of meeting readers, signing and selling works, recommending books by writers, media interviews and group photo taking. A record of 100,000 excellent books were displayed and 31 well-known domestic writers were invited to the fair. 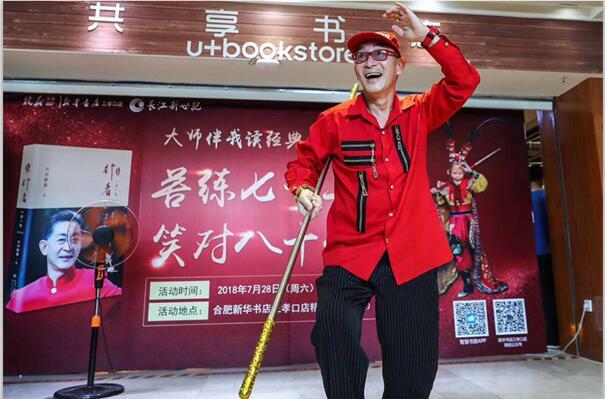 Five Anhui writers brought new books to the book fair, and more than 100 promotional activities such as special lectures, signatures and book-sales of famous writers, launching of new books, reading and sharing of works, and meeting famous readers were held. 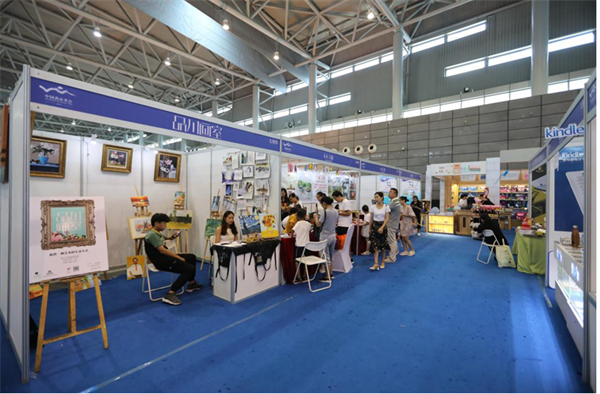 In addition to the main venue of the Binhu Convention and Exhibition Center, some writers also went to Xinhua bookstores across Anhui Province to hold reader meetings, so that the welfare of the book fair radiated to the whole province. This year,the theme of the fair is "reading plus living, reading to enjoy the future". 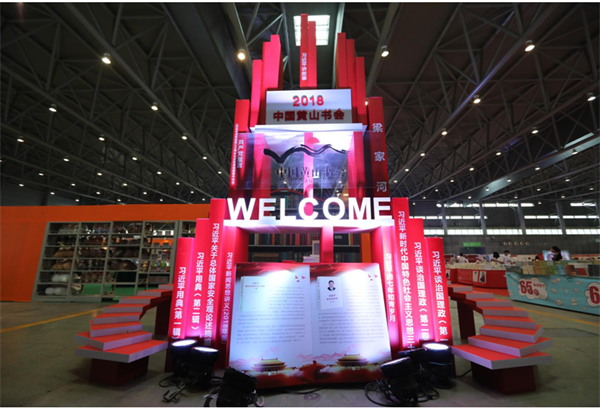 The venue ,the largest in the fair history ,is located in venue 6 of Hefei Binhu Convention and Exhibition Center, covering an area of 7,000 square meters. There are a more diverse range of halls, including non-heritage hall ,Taoshu bar, cultural creation hall, creative fair, children's hall, science and technology hall, and comprehensive hall. Creativity and interaction are introduced in the science and technology hall, and the Lego robot exhibits the robot chess duel, giving the audience a brand new experience of technological products; the creative brand and products displayed in the creative hall present a fantastic cultural consumption experience to the visitors. Following the concept of readers first, the fair launched a series of measures to facilitate and benefit the citizens: the citizens can enjoy a 75% discount for book purchases using Xinhua Bookstore membership card; the establishment of special book exhibition area, low-price discount for high-quality books; the use of UnionPay APP QR code flash payment, 50% discount for book purchases,and membership cards used in conjunction with the membership card. 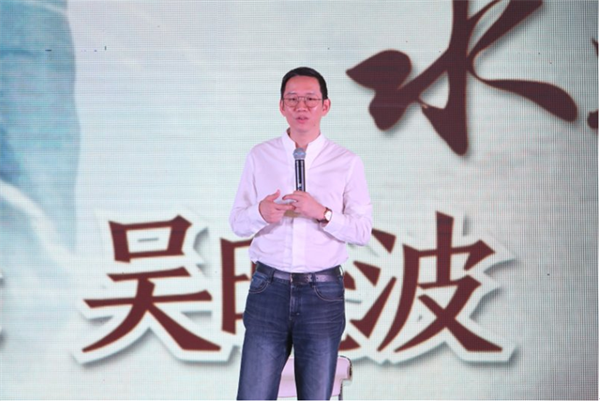 A comprehensive promotion plan for the fair was designed from the preparatory stage. More than 700 news reports have been released by over 50 media in the form of text, pictures, radio, television, video and micro-blog . The messages about the fair reached over 5.6 million people by utilizing all the TV screens in Hefei subway stations and carriages .Messages about discount information about the fair were published in Hefei Metro Daily put at every subway station.To attract more visitors, ground promotions were carried out to radiate towards more residential communities with the fair as the centre, covering more than 1 million people.By cooperating with China UnionPay and Huishang Bank, the activity information during the fair were posted in their official Wechat and media channels to reach more visitors.